My local ChipsAway man is Marcin Kaminski. Having used Marcin about 6 months ago, I had no hesitation in asking him to do another repair. Marcin's reliability, timekeeping, tidiness and courtesy are impeccable and the quality of his workmanship is second to none. Found the service brilliant, good quality finish, talked me through all the part needed to do the repair looks like the scratch was never there helped me with a couple of scratch he didn't need to but obliged with any hesitation. Incredibly happy with the work will call to return for another job. Would recommend this service from this professional employee. I contacted Marcin at ChipsAway to repair a scrape on my rear wheel arch and some further scratches on my bumper. The quote was a fraction of the cost of a paint shop. Marcin kept me informed throughout the whole process of the cost and all of the details. Marcin provided a very professional, punctual and friendly service and the ... Read more paint work looks fantastic. The final quote came out even cheaper (when does that happen?). 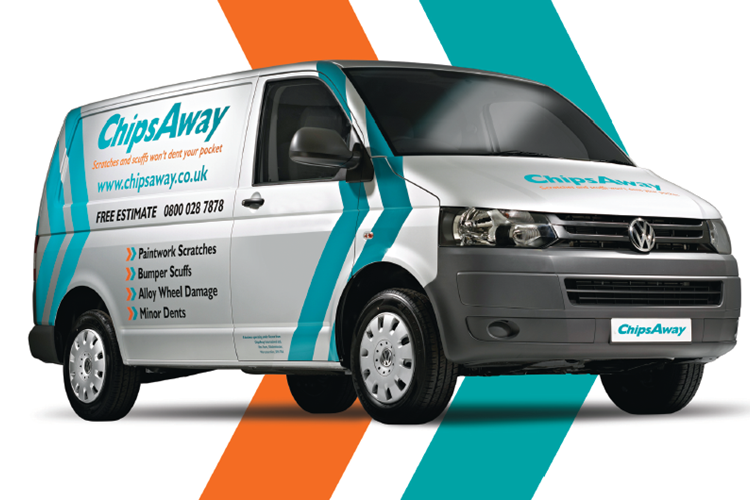 I would not hesitate in highly recommending ChipsAway and Marcin and can't fault the service provided from start to finish. It is so refreshing to deal with a company that pride themselves on excellence. For the second time Marcin of Chips Away/Southsea has performed a miracle. Two small dents on my wife's Mini Cooper repaired brilliantly at our home in about two hours. Arrived on time, cost was as per the estimate and my badge of shame is no more! Fantastic job done on my Audi and Marcin was happy to talk me through the process too. Cannot see any damage and paint matched perfectly; it was pretty bad with dents as well as big scratches but you would never know! I hope I never need to use in the ... Read more future but wouldn’t hesitate if I have another brain lapse and try parking too close to a pillar again. Thank you for such a fantastic job. Great repair by Marcin K. Quick job and a brilliant finish to the car - looks perfect! ChipsAway did an amazing job repairing the paintwork damage on my car. Marcin was professional, very polite and did a brilliant repair, the car is like new. The price was so reasonable too, I was very impressed. I also got a quote within two hours of emailing, and the repair was arranged the same day. Great service, would thoroughly recommend. Marcin has done work for me before and on this occasion I used him again because his attention to detail and the care he puts into his work is fantastic. Its nice to meet someone who is passionate about his work. The finished job is to showroom standard. Fast, friendly, professional service. I had a nasty dent right on the crease line of a wheel arch. Now it looks as good as new, not quite sure how Marcin managed it? Highly recommend this service. Also literally half the price of the quote from a local garage, (and I never had to leave my house). Marcin Kaminski has done an excellent repair on my car. My badly scraped door was repaired by Marcin: a very pleasant man who takes pride in his work. The job was completed to an excellent standard and my car looks lovely and shiny again. The price was excellent too. What more can you ask for? Highly recommended. Marcin Kaminski (Winchester) was thoroughly professional, as always.